Growing discontent over rising U.S. economic inequality was evidenced by electoral races in 2013, and could also play a major role in the 2014 midterm elections, says a recent report by the polling firm Lake Research Partners. The issue is breeding new momentum for minimum wage increases across the country and sparking outrage at corporations like Wal-Mart that make record profits but fail to pay a living wage to many of their employees. “Too often lost in the Washington parlor games and politics of the hour is the overarching lesson we should draw from 2013: that a populist economic message about building the middle class and leveling the playing field-especially for those Americans who are working full-time yet still earning below the poverty level-is at the core of voters’ agenda,” researchers said. In November, New Jersey voters decided to raise the state’s minimum wage to $8.25 by January 1, 2014 and add annual cost-of-living increases. Pending a possible recount, voters in SeaTac, WA, passed a ballot initiative to raise the local minimum wage to $15 per hour and provide paid sick leave. Mayor-elects in New York, Boston and Pittsburgh all won elections with messages of lifting up the working class. A recent Hart Research Associates study finds that 80 percent of the public-including 62 percent of Republicans-supports a minimum wage increase. “In 2014, smart candidates will be addressing this theme with substantive policy solutions and connecting with voters in the same ways that produced such eye-catching results this November,” Lake Research said. On Black Friday, thousands protested, and some were arrested, at Wal-Mart locations around the country to call upon the mega-retailer with $17 billion in annual profits to pay its full-time employees a minimum of $25,000 a year and for the company to stop punishing workers who stand up for their rights. Fast-food workers are planning a one-day strike in 100 cities on Thursday, December 5 as part of a $15-an-hour wage campaign. In a joint op-ed for CNN, AFL-CIO President Richard Trumka and National Employment Law Project Executive Director Christine Owens called on Congress to pass legislation that would raise the minimum wage to $10.10 an hour. 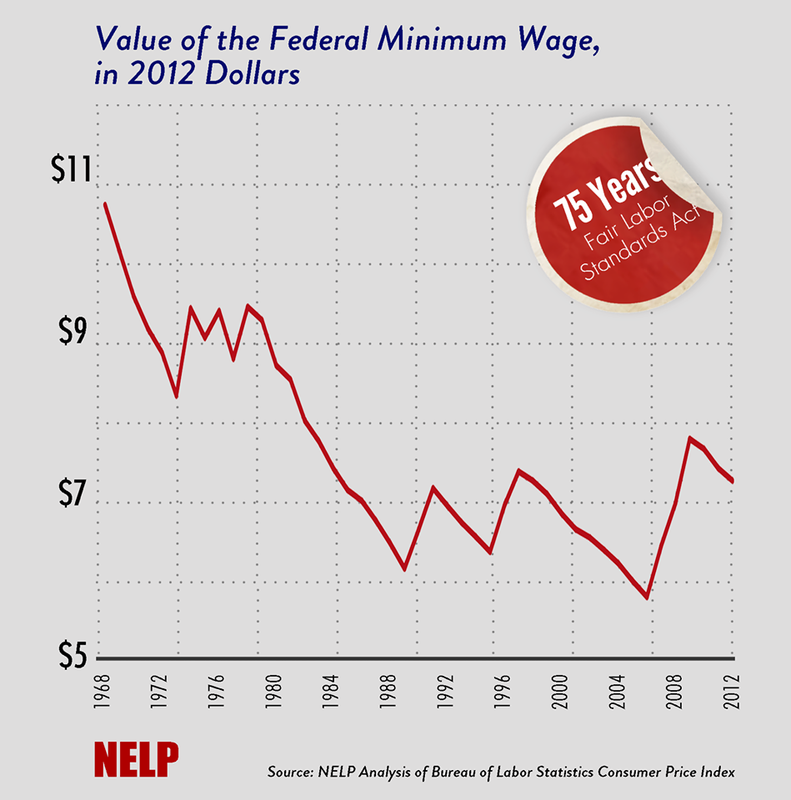 The Senate is expected to consider the “Fair Minimum Wage Act” this week.